The film “Newsies,” based on a Broadway musical that in turn was based on one of the least successful Disney movies in its history, has had a strange route to success. A film involving singing and dancing paper boys was an odd subject, to begin with. ‘Newsies’ was a 1992 Disney film about the 1899 newsboy strike that pitted the young people who sold newspapers against the most powerful news barons of the age, including Joseph Pulitzer. The story had all the elements of 19th century labor unrest, with some commentary on child labor, common in the era. The film pitted a group of plucky young people, along with a sympathetic reporter, against men of power with all the might and majesty of police power at their beck and call. The story, it being a musical, was told in song and dance. Then Governor of New York and future president of the United States Teddy Roosevelt makes an appearance toward the end and helps to resolve the conflict. The 1992 movie was a critical and box office bomb, getting a 39 percent Rotten Tomatoes rating based on 35 reviews. The film only made $2,819,485 domestically and ranked as one of the lowest rating live-action Disney films in history. Considering the lack of success for the original movie, the decision to adapt it to the Broadway stage seems only odder. The play changed some of the storylines and added some numbers from the original film. The play premiered at the Paper Mill Playhouse in Milbourn, New Jersey in 2011. The musical moved to the Nederlander Theatre Broadway and played for 1,005 performances for over the next two years, recouping its $5 million cost in seven months. The musical then went on an equally successful national tour. 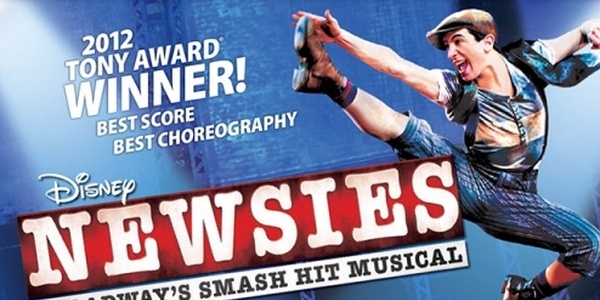 “Newsies” the play took a number of Tony Awards for 2012, including Best Choreography and Best Original Score. The play was also nominated for Best Actor, Best Direction, Best Book. Best Orchestration, Best Scenic Design, and Best Musical. The movie version of the Broadway play enjoyed a limited theatrical run and made $3.47 million in just three days. The filmed version of the musical will bow on Netflix on September 5, 2017. The play and now the film version of the play proves that modern audiences are more receptive to the end of the 19th century story told by “Newsies” than they were in the early 1990s.